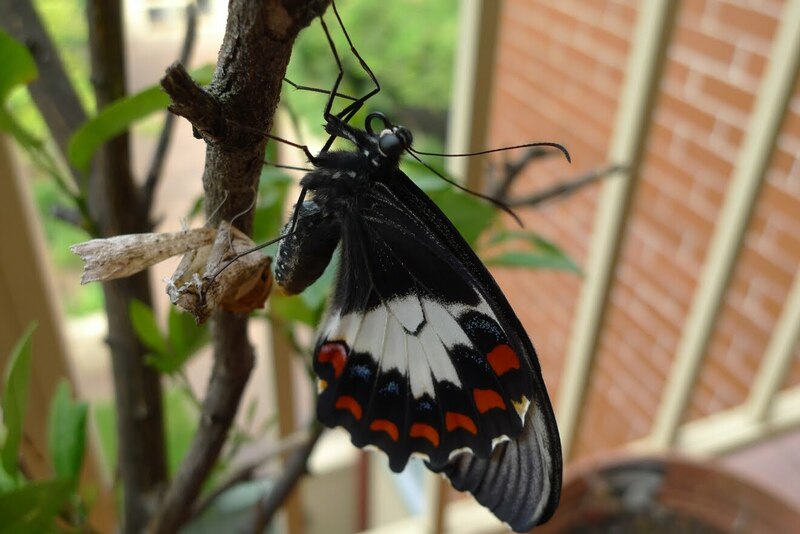 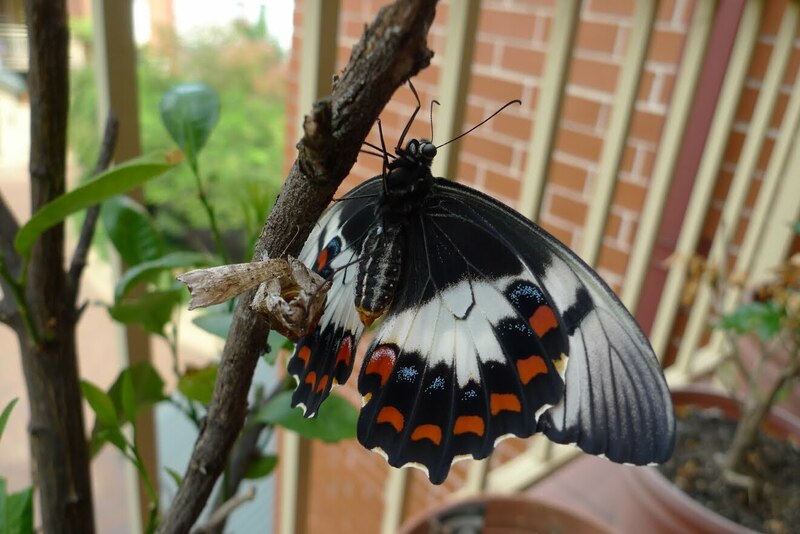 According to this page the pretty butterfly pictured below is called Papilio Aegeus (Orchard or Citrus Swallowtail Butterfly) and is a fairly common garden butterfly in Sydney. It is one of the largest butterflies in Sydney too and mostly found on citrus plants. In our case the egg was laid on our cumquat tree on the balcony. 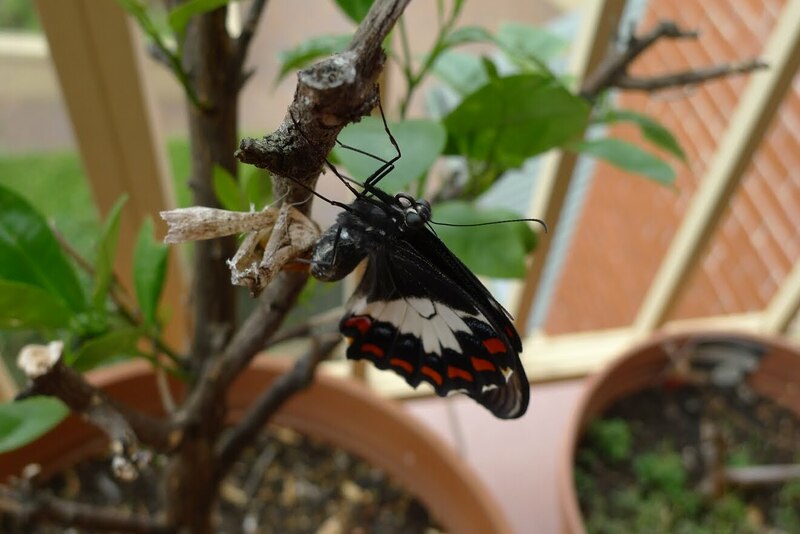 I don't recall seeing the caterpillar and I'm sure Copernicus didn't either (it wouldn't have become a butterfly if Perni had seen it) but I did see the pupa at some point and forgot about until this pretty creature appeared. 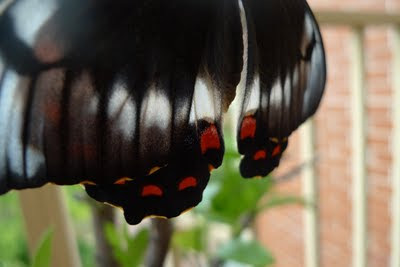 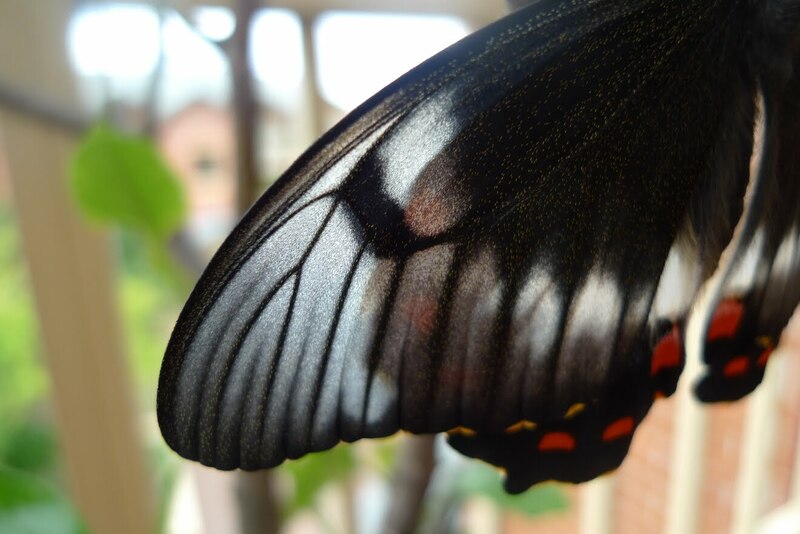 It is probably a female going by the colouring and she had just exited her cocoon. 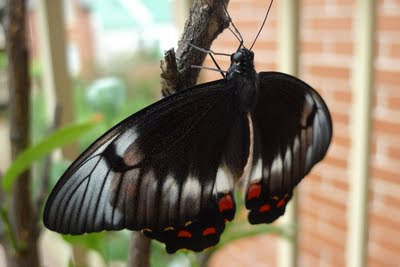 She's been back once or twice since and the last time we did have to save her from Perni.